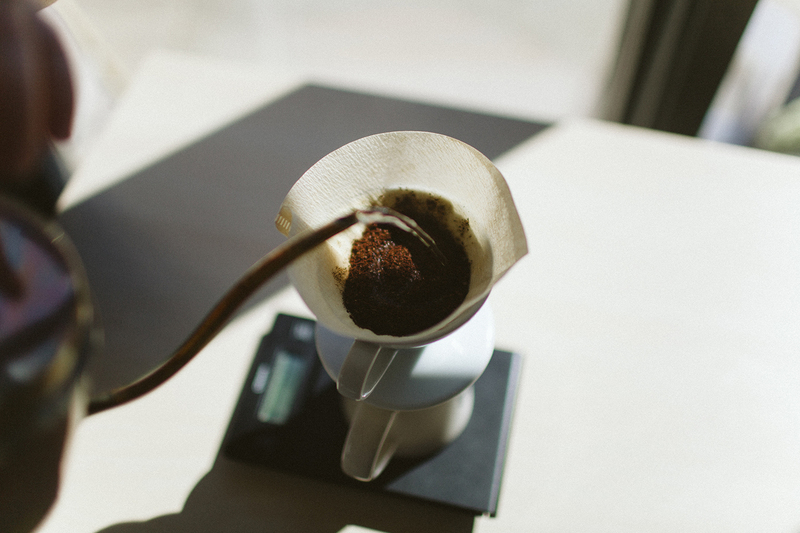 The Hario v60 is for the brewer who wants complete control over the extraction of their coffee. The filter used is thinner than most, allowing more of the solubles and oils from the coffee through, creating a velvety cup with a punch. 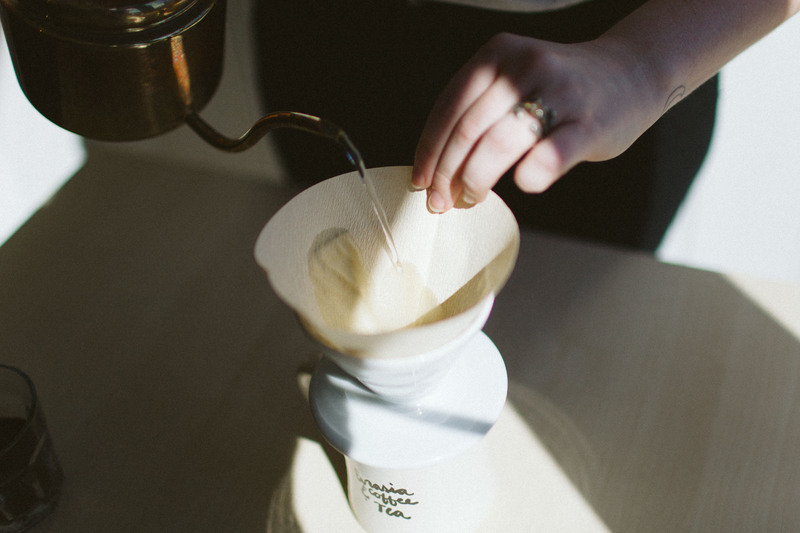 V60’s bring out the bright fruity notes so Kenyan, Costa Rican, and Ethiopian origins all do well with this method. To begin you will want to fold the seam edge of the filter. 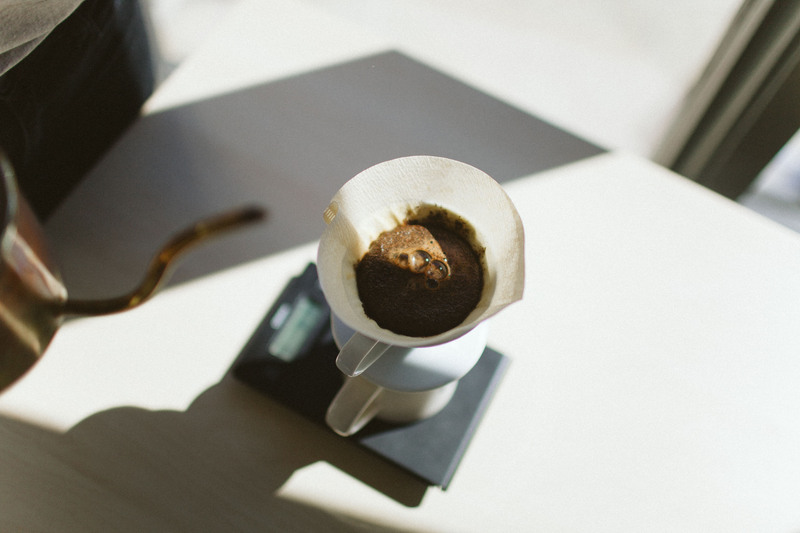 This creates a cone shape and allows it so sit flat against the walls of the v60. Place the filter in the brewer and set it on top of a mug. Rinse the filter thoroughly with hot water to remove any paper taste and to preheat your cup. Don’t forget to dump out the excess water! Next weigh out 24 grams of coffee. Because of the thin filter, the grind for this method is a bit more fine than most pourovers. If it’s the size of kosher salt you are headed in the right direction. Dump the grinds into the filter. 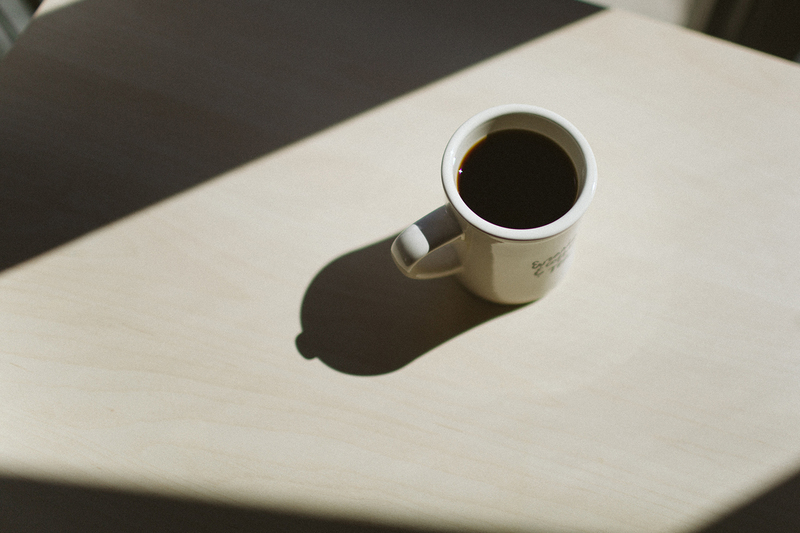 Set the mug with the v60 on a scale and zero it out. Pour 200 degree water over the coffee, just enough to saturate it, for the bloom. The bloom is important because it is the initial release of gases, if your coffee bubbles up you will know it’s fresh. Allow your coffee to bloom for around 30 seconds. For the pouring technique you will want move in small spiral over the full bed of coffee. Once you complete a spiral pause for 10-15 seconds, then continue with another spiral. You will want to do this until you reach 384g of water. The key is to time your pouring so that you are finished by the 3 minute mark. Once you have hit that time you should have around 12oz of pure deliciousness. 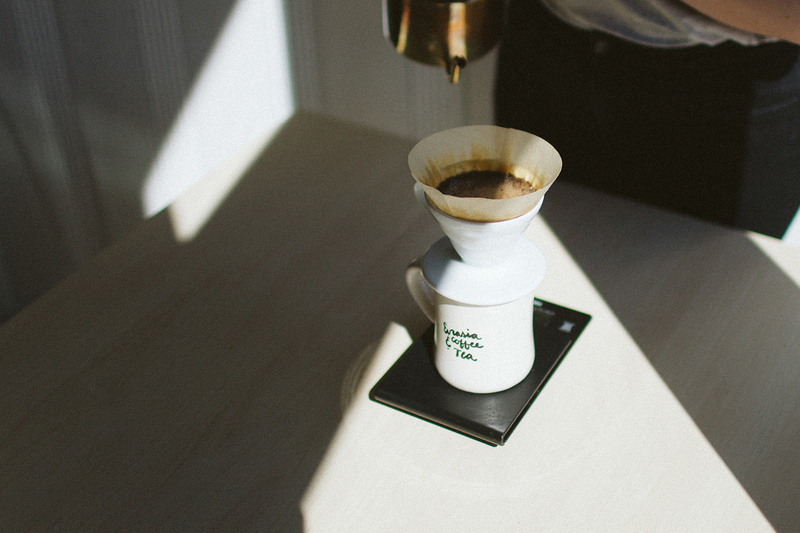 Remove the filter and v60 from the mug and you are ready to enjoy all your hard work. Pro Tip: if your coffee is slightly bitter adjust your grind size so that it is a bit more coarse. 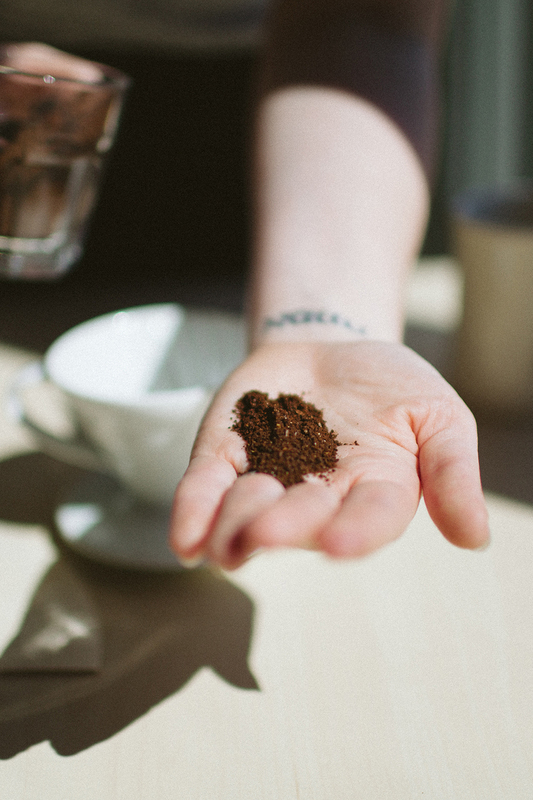 If your coffee is slightly sour, take your grind in the other direction and make it a bit more fine. 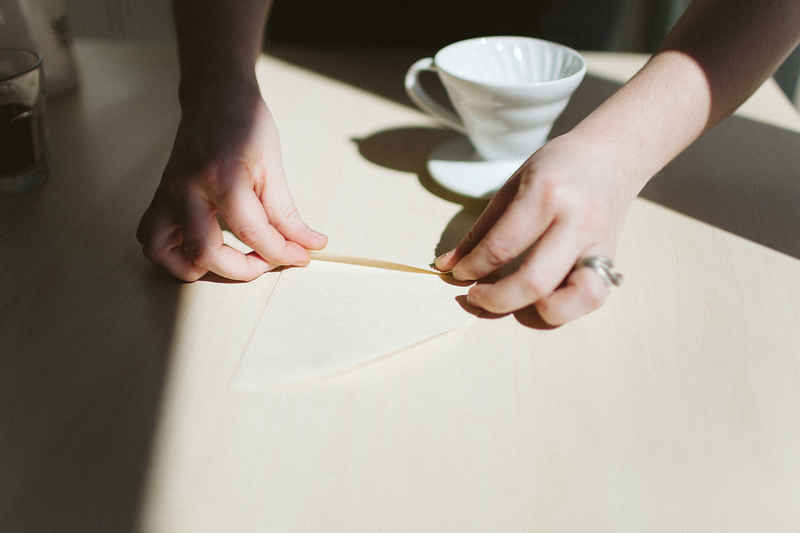 This has become our Go To Method® for coffee. Arabian Morning and Sherpa Blend have become our favorites so far.